An arrest and criminal charges in the Saratoga Springs, New York, area often mean that someone’s rights, freedom and future are at stake. 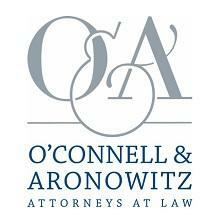 At O’Connell and Aronowitz Attorneys at Law, we have seen firsthand how essential it is to have a strong defense. Our law office’s resources, which include a wide array of skills and experience, enable us to provide clients with sound counsel through issues ranging from misdemeanors to felonies. We offer trusted representation for a variety of legal matters, including criminal defense, real estate, employment issues, personal injury, elder law, estate planning, commercial law and family law. Regardless of the circumstances, clients will start the path to resolution with a free initial consultation at our law offices. From there, one of our lawyers will craft a strategy that prioritizes the client’s best interests through each step of the legal process. O’Connell and Aronowitz Attorneys at Law has earned a reputation in the Albany area for our aggressive approach to every case. We have a history of winning complex cases as well as more routine matters, ensuring that we reach a favorable solution in a cost-effective manner. Working as a team, the attorneys at our law offices are able to offer our clie nts constant support and comprehensive representation. We represent people of all ages who have been seriously injured to recover physically and financially from the harm they suffered due to another's negligence. We represent individuals for all levels of offense, from misdemeanors to felonies to white collar crime. Our attorneys are involved in all aspects of bankruptcy law, including debtors filings under Chapters 7, 11, 12, and 13 of the Bankruptcy Code. Our attorneys have reviewed over 1000 cases of childhood and adult lead poisoning. Over the past fifteen years, our legal team has won the largest lead paint verdicts and settlements ever in Upstate New York. We provide individuals with sophisticated estate planning, including the preparation of wills & trusts; administration of estates, and analysis of the estate, gift & income tax consequences of an estate plan.